Earlier this year I had decided that my trip this summer would be to Mongolia. The majority of the flights (that is, the cheapest) had me connecting to a flight to Ulaan Baatar (UB) in Beijing; this of course led to one my famous “Let’s make this bigger! Turn it up to 11!” moments. 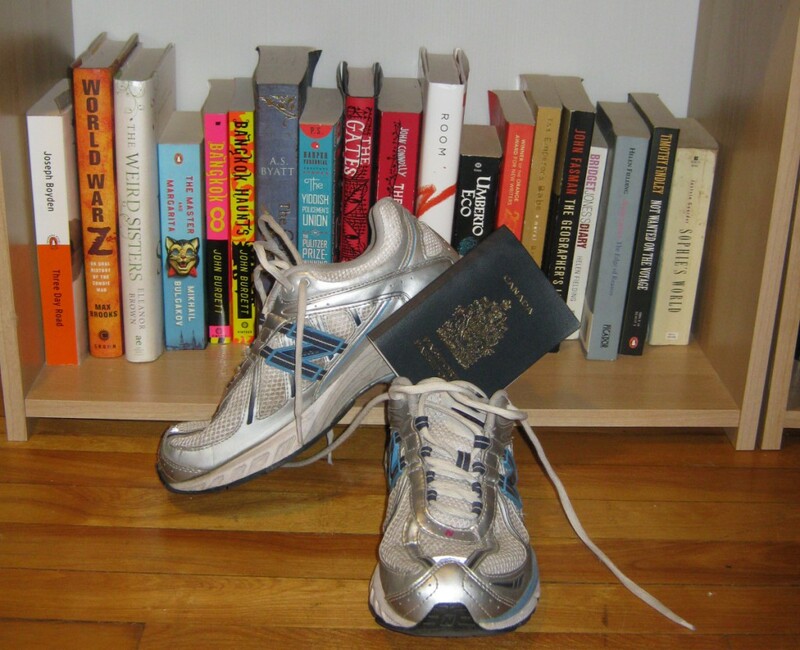 I decided to do a multi-city flight – Ottawa to Beijing, and then UB to Ottawa for the return flight. I would arrive in Beijing in the afternoon of July 31, and leave in the morning of August 5, taking the Trans-Mongolian Train to UB from Beijing. This would give me a few days to take in the sites in and around Beijing, and give me time to get over any jet-lag I might have. (For future reference: So far, I have not experience jet lag. Even with the 12-hour time difference between Ottawa and Beijing.) This time, I was travelling with a friend from university. Our flight to Beijing was uneventful. 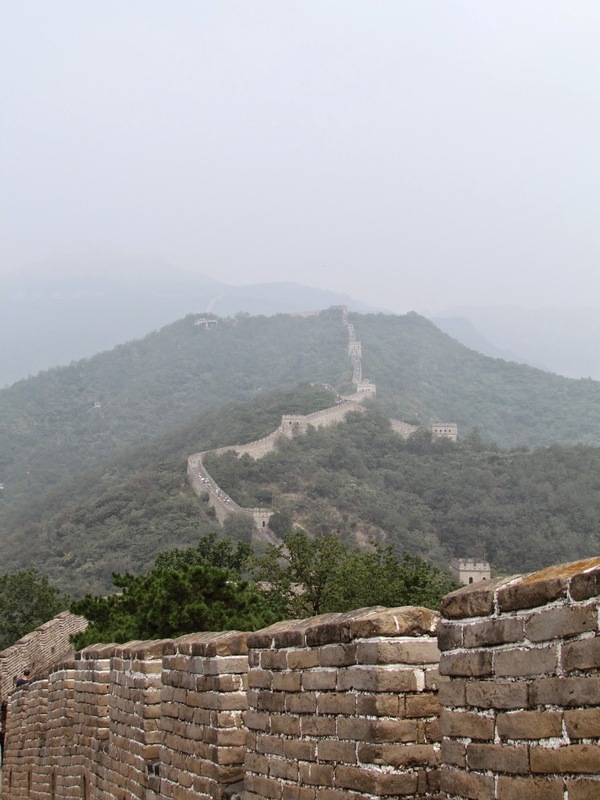 We flew from Ottawa to Detroit, where we had a short layover, and then onto Beijing – a 13-hour flight that passed quickly. Upon arrival in Beijing, we found a taxi (that we probably overpaid for. So, note for next vacation: contact hostel/hotel/B&B and ask how much a taxi from the airport to their front door should cost). We were staying at a hostel located in the Dongcheng district, down a very narrow hutong street. There were times where we thought the taxi would get stuck, but no – he made it all the way to the hostel. (Our tour guide would have us meet him outside the hutong, as the roads are actually that narrow). Our hostel was clean and comfortable, and the staff were friendly, but we were mislead on one feature – the reason that we booked the hostel we did, was because they advertised that breakfast was included in the price. Upon arrival, we found out that breakfast was NOT included. (We were not the only travellers who noticed this, so it wasn’t a problem of simply reading the advert wrong). Breakfast wasn’t that much – 15 to 25 yuan, but I did end up wondering if there would be any more surprises in store. 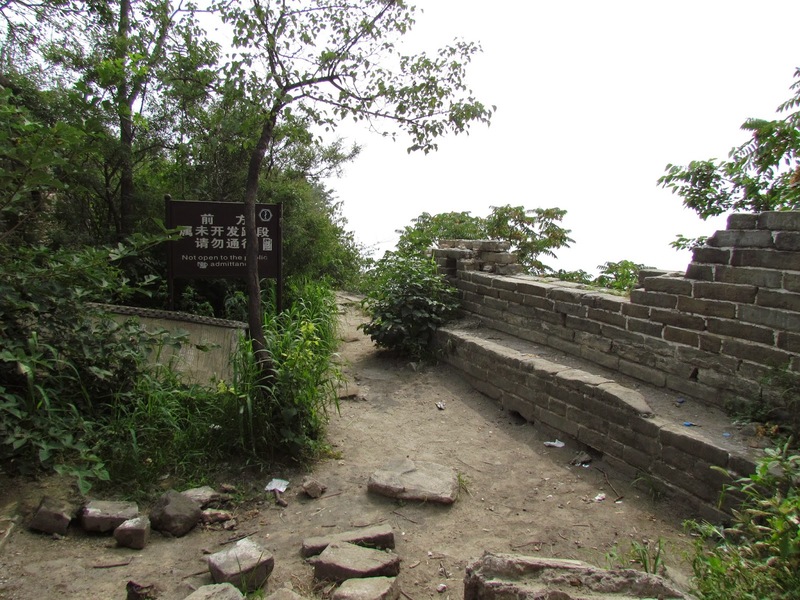 Day 2 – Great Wall (Mutianyu Section), and the Summer Palace, driving by the Olympic buildings. Both days included lunch, and water, as well as all entry fees. Our first full day, Mike met us at the front door of the hostel, and led us out of the hutong to his car. 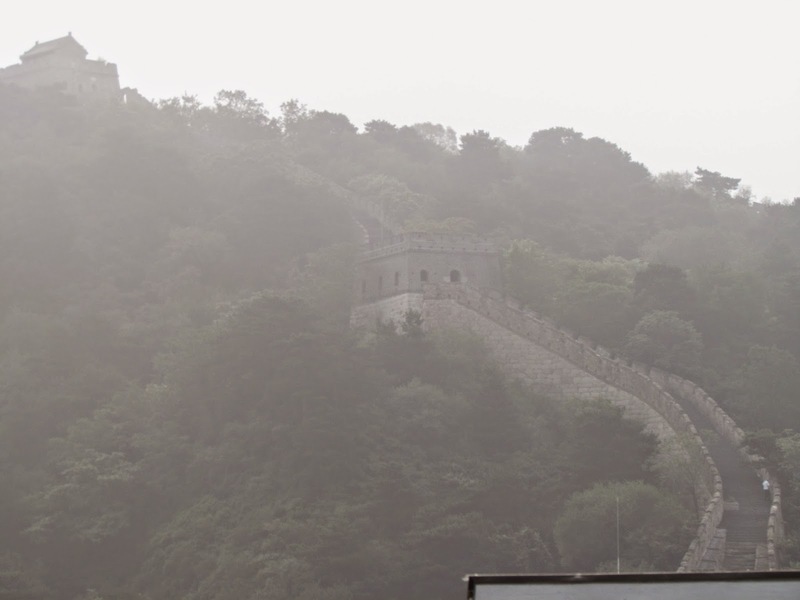 (The next day we met him outside the hutong, in order to leave early for the Great Wall). We headed the short distance to Tiananmen Square, where Mike walked us through and explained the buildings, and the architecture (there’s a lot of Feng Shui involved). For those planning to see Mao (having previously seen Lenin and Stalin in Moscow, I wasn’t too interested in seeing Mao), Mike advised us to arrive early. Jason had planned on going one morning, but early is….well, early, and we were busy enough (and the one day we had nothing planned, it rained) that he ended up skipping the visit. 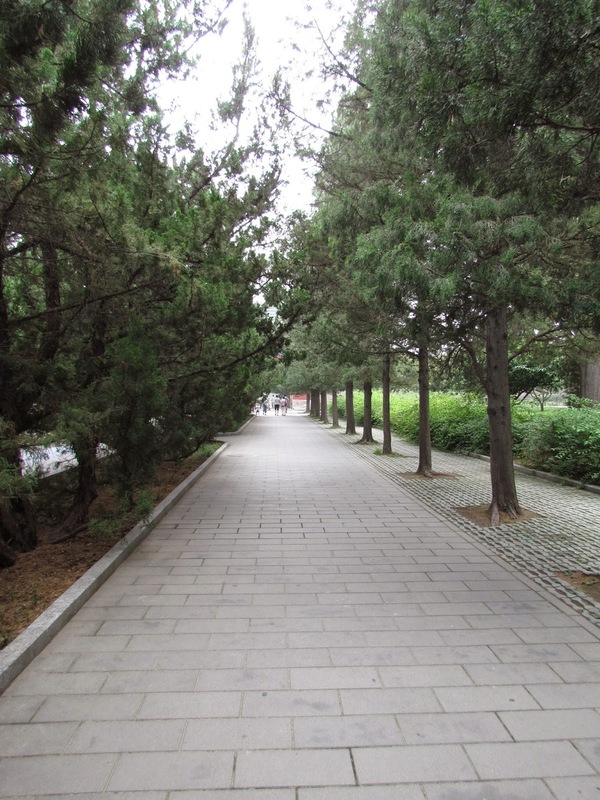 We exited the Forbidden City and walked back to the car, and went to the Temple of Heaven. 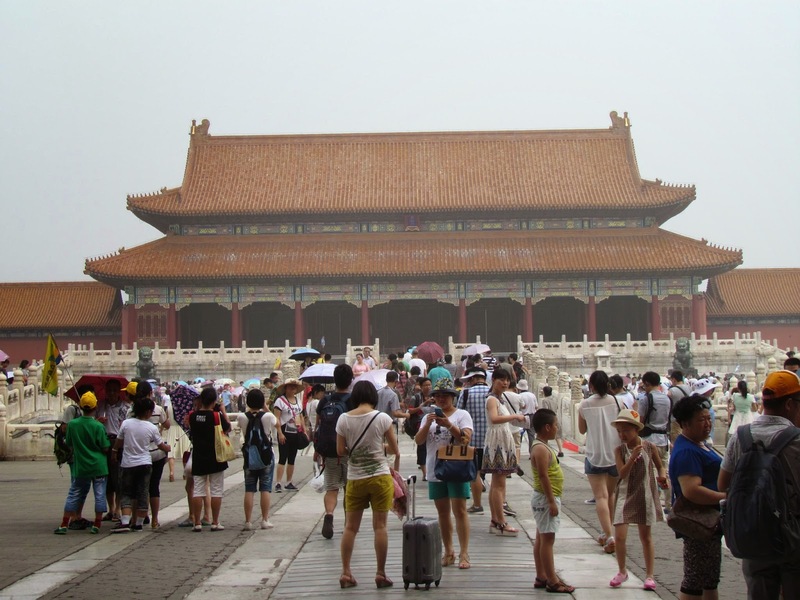 If I have one piece of advice, it’s to break up the Temple of Heaven and the Forbidden City. 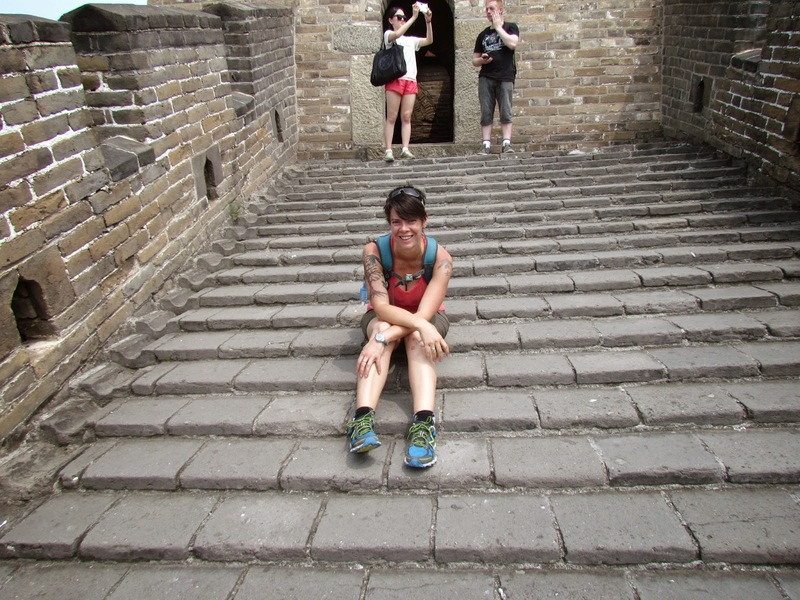 By the time we got to the Temple of Heaven I was in architecture overload. 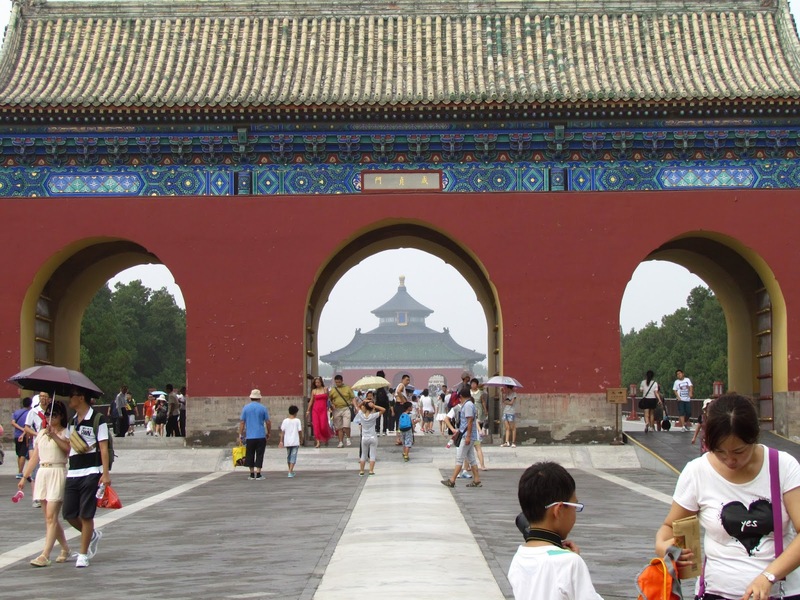 The only way I can tell the pictures apart in my gallery is the colour of the roofs – the Forbidden City has yellow roofs, the Temple of Heaven blue. Still, it was nice at the Temple of Heaven – the park surrounding the buildings has far fewer people (it’s still noisy – the cicadas were near deafening) and it was cool in the shade. The park portion is open (and free) to everyone – residents of the city gather here and visit, or exercise. The portion with buildings is the tourist part, with an entry fee. Every time tickets needed to be bought, Mike would point out an area where we were to meet him, and he would go and buy the tickets. It was nice, especially on the first full day in Beijing, to not have to deal with language barriers, or trying to understand where to line up, which wicket for was what, and if there was a tourist/national price difference. Mike lead us through the park to the gate, and took us through the different areas telling us about the ceremonies and rituals. We wandered through various arches, along several buildings, and up a giant, circular dais that has nine levels of nine steps, and each dais has a multiple of nine tiles around. When we came to the actual Temple of Heaven (which includes not a single metal nail) we even came across a bride having her photos taken. The pace here felt less hectic than it had at the Forbidden City, but the smog and heat had gotten worse, so we didn’t last too long. After the Temple of Heaven, we stopped by a tea house, where we were taught how to hold the cups, how to sip (no more or less than three sips to finish the cup) and which teas require which type of pot. We got to taste five different teas, and most importantly – sit inside, where the a/c cooled us down considerably. 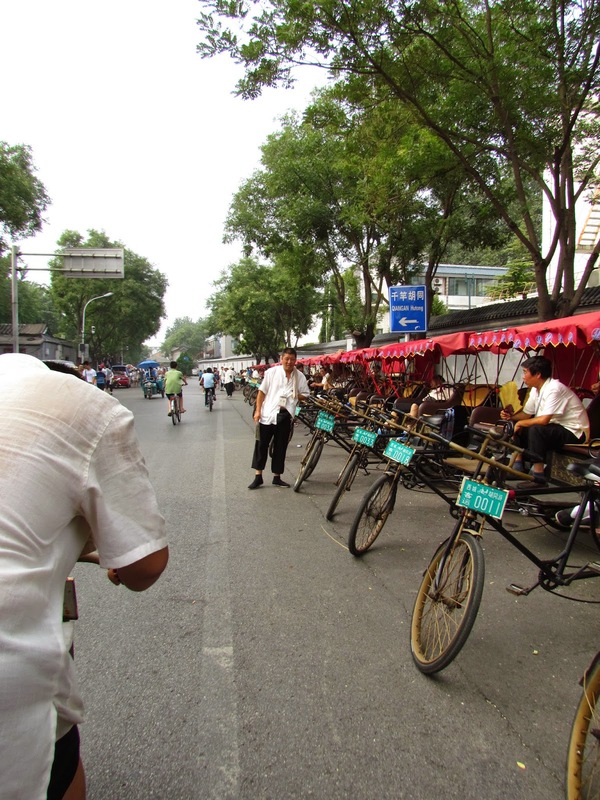 We quickly pressed on to the bicycle tour of the hutong. 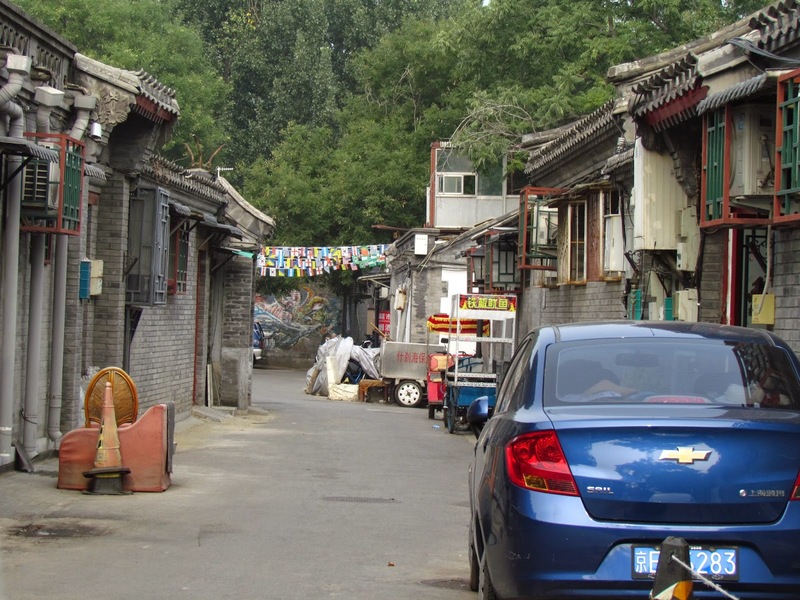 This area wasn’t too far from where we were staying (we would walk back on one of our solo days in Beijing), but it was interesting to see how this hutong was different from the one we were staying in. We had a guide (who disappeared more often than we saw him) and a “driver” – a man who did all the real work – pedalling us around the streets in the humid temperature. I was impressed that he could manage to get us up some of the inclines – it was really hot, and I’m sure two adult passengers weigh enough to give anyone pause! We visited one of the original homes in this particular hutong, getting a brief history lesson on who (grandparents, sons, daughters, etc.) lives in which building and why (hint: feng shui), and got to tour the family’s house – which are still in use. We didn’t see their private homes, but rather open public areas – an artist’s studio, and a formal living room. It was interesting to imagine how it would have been even a hundred years ago. Members of the family were the ones to give us tours of their buildings, which gave us a greater appreciation of the history that we were walking through. The next day we drove to the Great Wall. 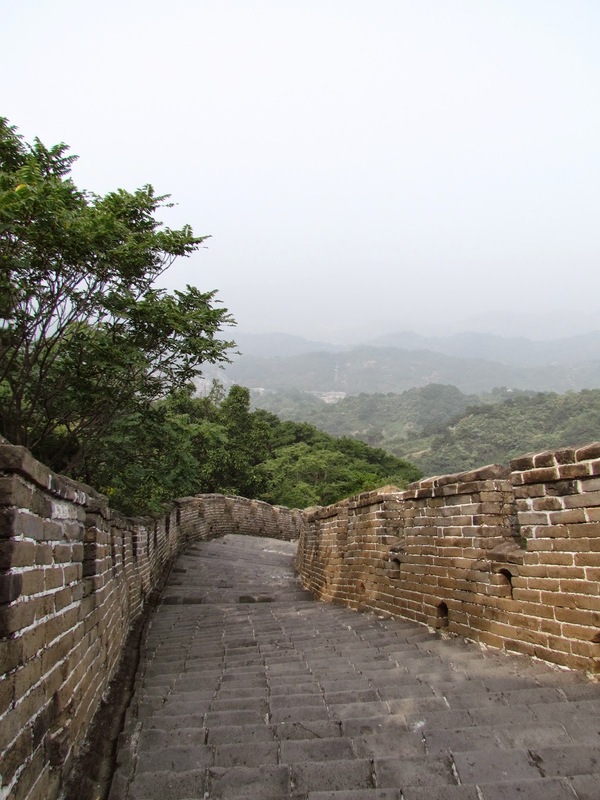 There are several sections you can visit, the Badaling section is probably the most visited. We went to the Mutianyu section, and we arrived early. This is key – the earlier you arrive the quieter it is. We were sharing this section with about 10 other people, for the first hour or so. We took a chair lift up which was terrifying for me because I hate heights. 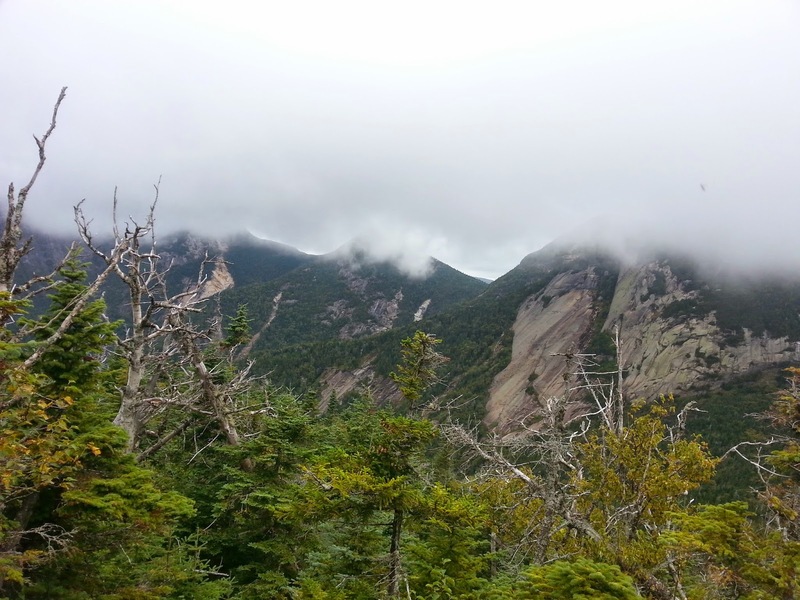 However, for those of you that aren’t – you get some great views of the mountains! Even if you are, it’s a (relatively) quick way to get to the wall. Mike came up with us, and explained a few historical points to us up at the top. Then he left, back down to the parking lot, giving us a few hours to walk along the wall. We wandered down to Watchtower 1, which is at the end of the tended (maintained) section of the wall. From there, we sneaked out a window (no glass, so nothing to prevent you from doing this) to an “untended” section of the wall. These sections are overgrown and the rocks are tumbling down. It’s wonderful. 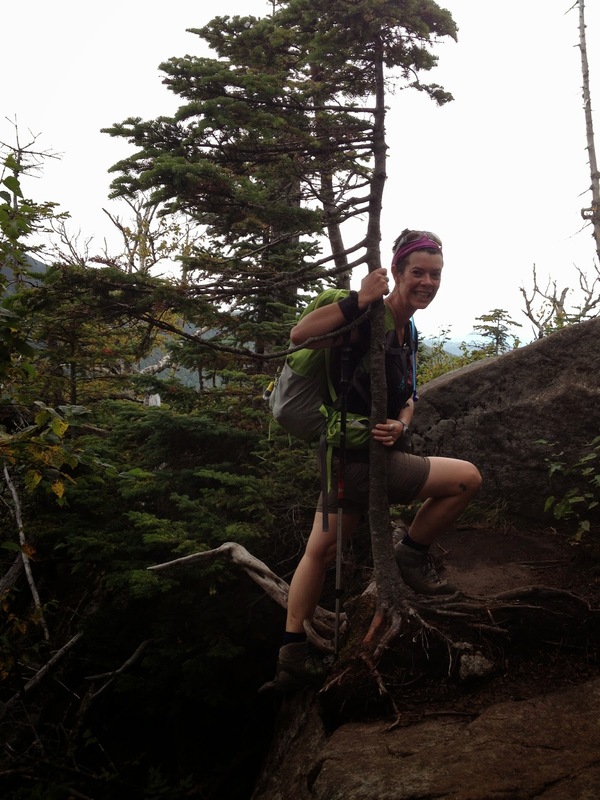 We walked along a path that had been worn into the dirt/stone, being careful – there are parts where the wall has eroded so much, you swing out over nothing to step on the next section of wall. We had seen one other person sneak out ahead of us, but he was long gone by the time we came strolling through. We saw a lot of lizards, butterflies and (ugh) centipedes on this part of the wall, but didn’t manage to get many photos -they were quick to scamper/fly away….except for the centipedes but there was no way I was getting a picture of one of those. We followed the path quite a way, wondering what else we might see, before deciding to head back to the tended section and exploring in the opposite direction. We sneaked back through the window (which was harder, because more people had arrived by this point) and headed back down the steep stairs. 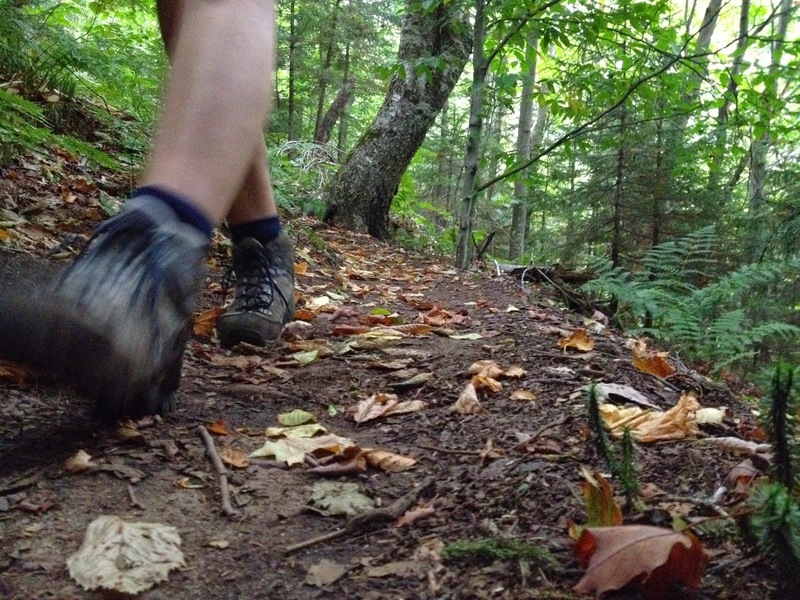 Definitely make sure to wear comfortable walking shoes – you don’t need hiking boots or trail shoes, but something with a good grip, and is comfortable is definitely key. After lunch, we headed to the Summer Palace. You should definitely arrive early in the day. By the time we arrived, it was incredibly crowded. 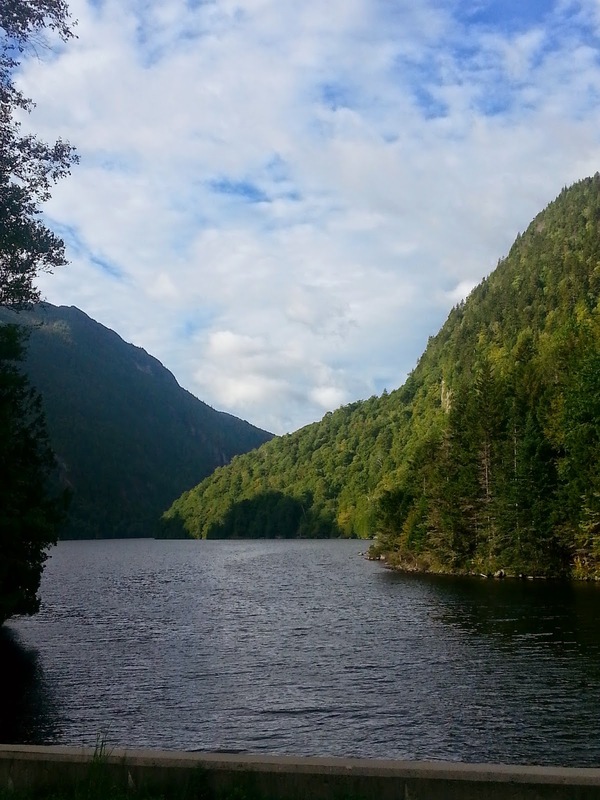 We bought tickets for a boat ride across the water, and walked back to the beginning. We walked through a covered walkway, that caught a nice breeze of the water, and watched a portion of a Chinese Opera. Mike continued to explain the significance of various statues, trees and buildings. But we were definitely running out of steam by this point. In retrospect, we could have visited the Summer Palace on our own. While it was nice to have a guide – we didn’t have to figure out where to buy tickets, where to line up, what were the most important parts to visit – it was also the kind of place perfect for wandering around and discovering. The next day we had to ourselves, so we walked the few blocks between our hostel and the Lama Temple after breakfast. We got there early, and quickly got tickets and entered. We were handled bundles of incense, for the smudging ceremony that was going on near the first temple. We burned our incense and watched the people – it was clear that this was a mix between devout Buddhists, and tourists. From there we walked through the different temples and courtyards, slowly as each building was packed with people. 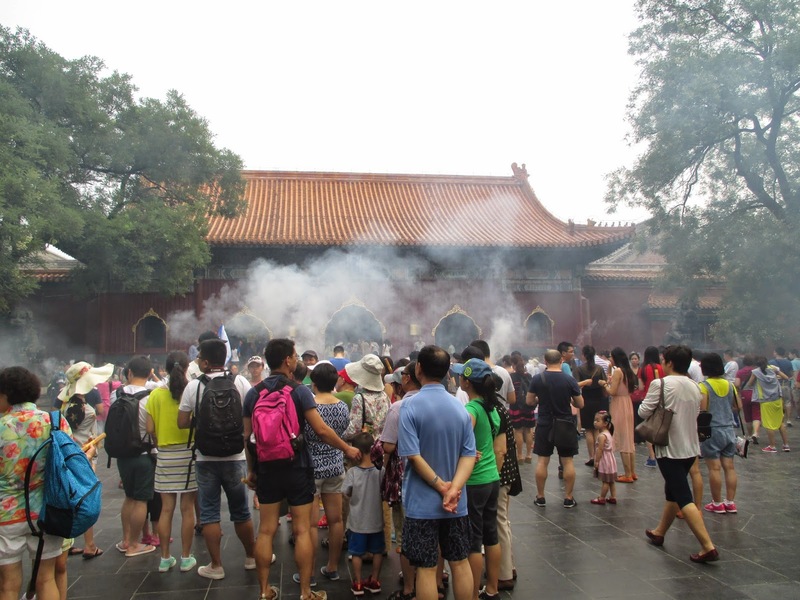 If you plan to go to the Lama Temple go early, and don’t go on a weekend – not only will it be packed with tourists, but also with devout Buddhists. I felt a little intrusive as I walked around, watching people trying to prey, having to push through throngs of tourists to do so. Jason had rented an audio guide, which he found somewhat useful. I preferred to just wander around on my own. If you’re interested in the history of the Temple and in Buddhism, then the audio guide is a good investment. 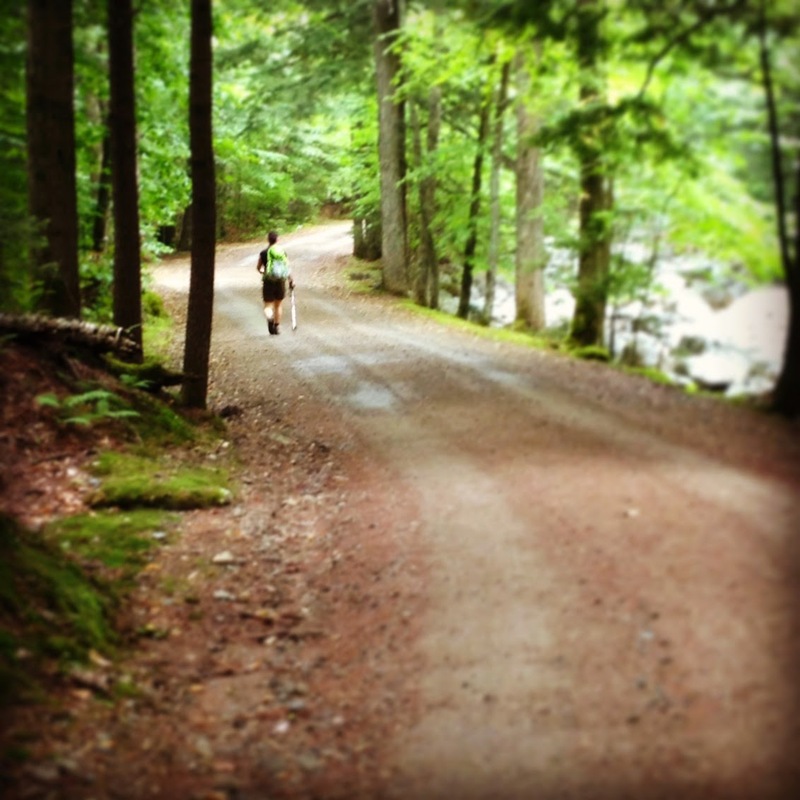 If you’re like me, and just want to wander and soak it in, then it’s not as worthwhile. He’s also much more interested in learning about the religion, and the history of the buildings, I just wanted to soak in the atmosphere! 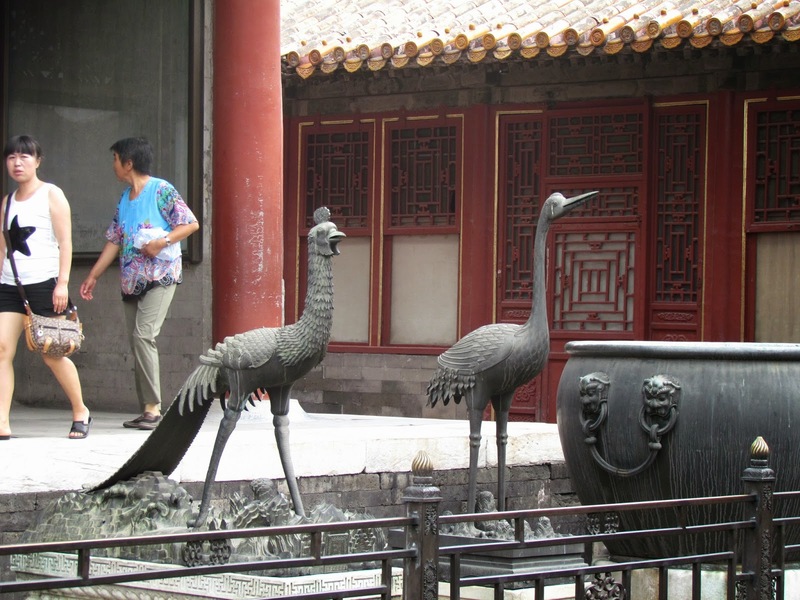 With a final visit of a museum inside one of the buildings, we headed back out to the street and started walking towards the hutong we had visited the day before. 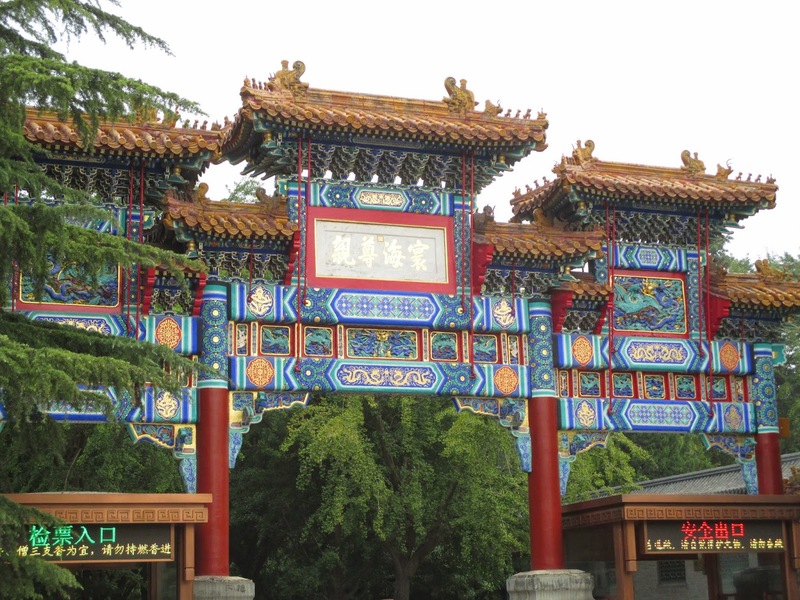 To the north of the hutong is the Bell Tower and Drum Tower, to the south Beihai Park. 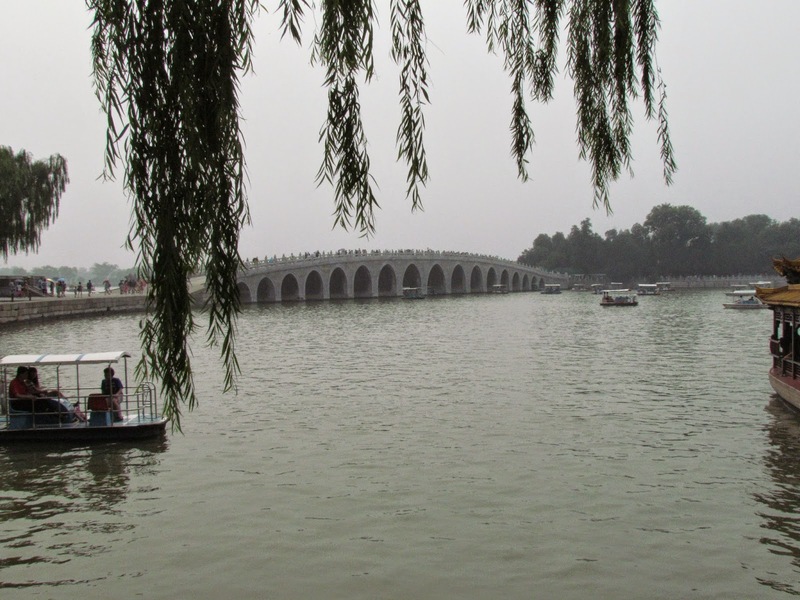 The hutong itself is situation around Shichahai Lake. That area had plenty of restaurant and bars, many with roof top patios overlooking the Lake. Along the way, we came across a small street market, so wandered down through there as well. We had no plan as to where to go (but we did have a map!) so we just wandered, turning right or left depending on what we saw. We eventually ended up at a major road, and managed to find it on our map. 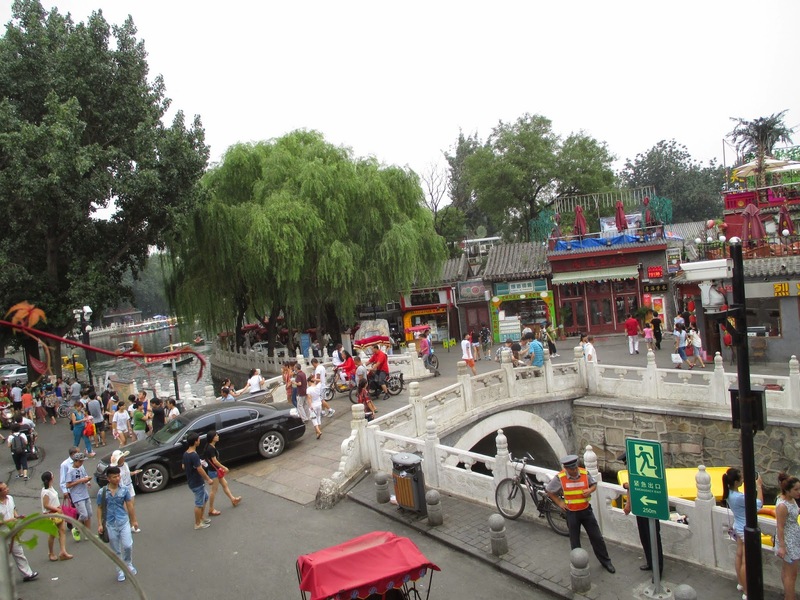 We were not to far from the hutong we wanted to visit – we walked one block south, cross the road (quickly! The cars don’t stop) and walked along the water until we came to the area with shops, bars, and restaurants. Most things seemed closed, so we continued to wander around, finally stopping off at one restaurant for lunch, before heading back towards the water. By this time some of the bars and cafes had opened, so we sat on the roof top patio to people watch. It was a crazy mix of people, cars, rickshaws, and bicycles. But somehow they made it all work – it was incredibly impressive! 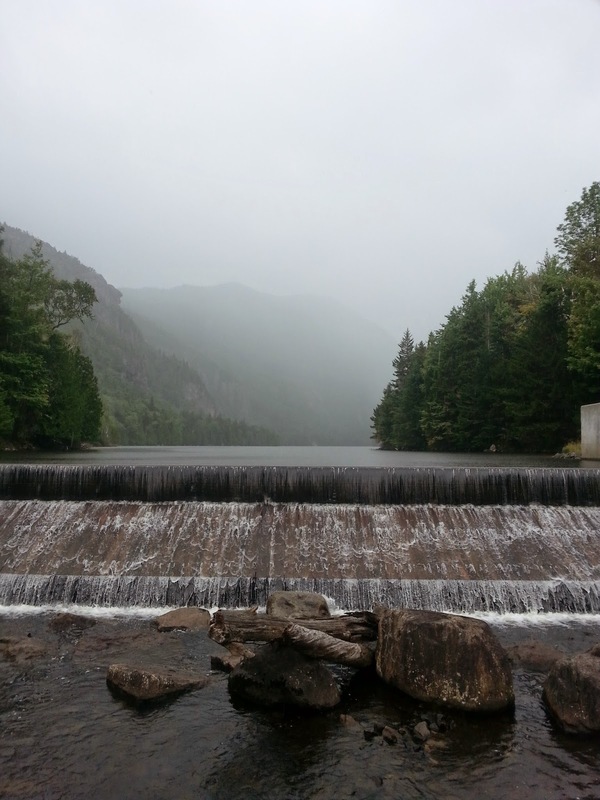 The next day was overcast and raining, so we started out late. We went to the Confucian Temple, close to the Lama Temple that we had visited the day before. Instead of being on the right of Dongsi Beidajie, you continue to head north until a small street called Guozijian Jie, and follow it for a few minutes. The Temple is on your right. As with the Lama Temple, we had no trouble buying tickets, and we filed in the gates in the walls. You enter into a square, surrounded on all sides by long one-storey buildings, with a few taller, thinner buildings in the square, as well as a few trees. We wandered around the square a bit, before the rain started again in earnest, so we headed into the buildings, which were museums, detailing the life of Confucius in one building, and the history of the religion in another. The museums are interesting, if only for some of the comments about how popular Confucianism is in other parts of the world. 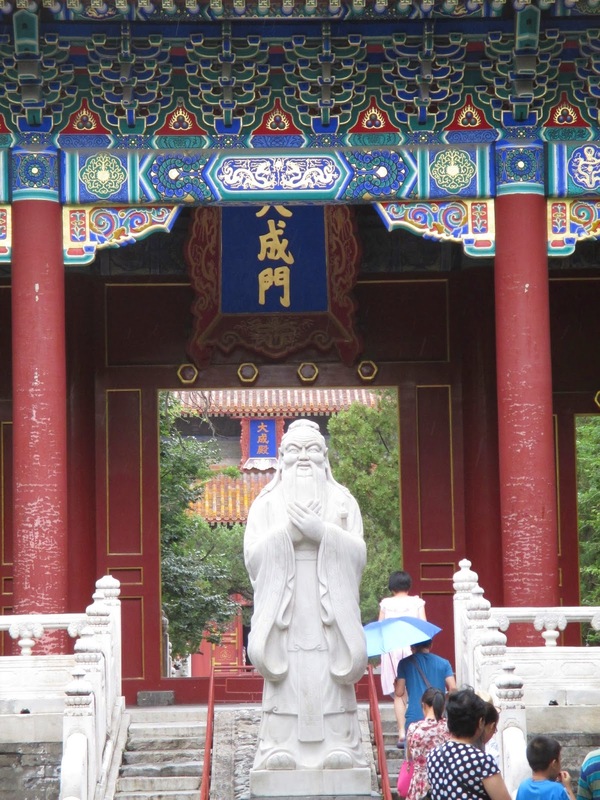 I personally found the history of Confucius himself to be the most interesting part of the Temple. The next day we packed up our gear, checked out of the hostel, and walked to the road to catch a taxi. Make sure you give yourself enough time! It took a while before we managed to flag one down. It was a quick ride to the train station, and then a bit of a hassle trying to figure out where to go – it’s the mass of people in the middle who are going through turnstiles. You show your ticket, go through the turnstile, then through a metal detector (and send your bags through an xray machine) before going to a lobby to wait. We were a bit “late” (we were told to be there an hour before our train left, we arrived 40 minutes before it left), so we hustled off to where the train was waiting. It was a bit of a mad dash, but we finally got there, got on, and got ready to start the next part of our vacation – Mongolia! – you’re told to be there an hour before, there is wiggle room with that.